Time to book you and your friends on a flight to New Orleans. Over the weekend the light-hearted, critically-acclaimed comedy “Girls Trip” pulled in more than $30 million at the box office. The massive pay day means the film had the best start for an R-rated comedy in two years, and the best showing for any live-action comedy so far in 2017, according to The Hollywood Reporter. 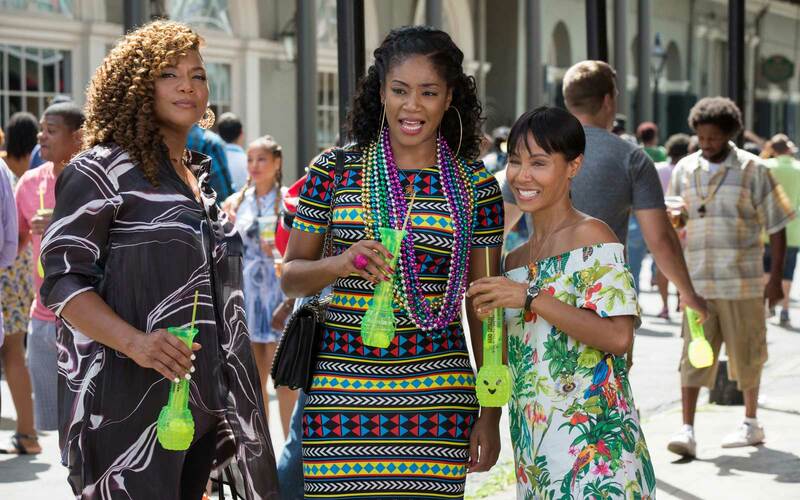 While without a doubt Regina Hall, Queen Latifah, Jada Pinkett Smith and Tiffany Haddish make the movie great, the film’s fifth star, New Orleans, also shines. “New Orleans is its own character, and the fact that New Orleans is the place that the Essence Festival is held,” Pinket said in a recent interview. Latifah meanwhile gushed about the area’s fantastic food scene: “My favorite thing was always the crawfish etouffee." And truly the Southern city is the perfect location for a girls' getaway — and also a film about one. If “Girls Trip” inspired you to take a trip of your own, here are a few ways to make that happen. Several scenes in the film were shot inside the lobby and glass elevators inside the hotel, according to NOLA.com. The property, located right next to the Superdome, offers up not only amazing service, rooms and dining, but also has a stunning rooftop terrace with views of the city. In the film, the ladies originally book their stay at the Hotel Monteleone, however before they even step foot in their room an incident at the Carousel Bar sends them packing. However, you can head to the same location and take a seat at the rotating bar without fear of getting kicked out, so long as you’re on your best behavior. There, we suggest ordering a mint julep just like Tennessee Williams and Truman Capote reportedly did. The women in “Girls Trip” experience quite the, well, we won't spoil it, but let's just say there's fun to be had at the casino. Like the women on screen you can enjoy a great cocktail and a dance session inside the casino’s club, or simply go and gamble away your cold, hard cash. Before you leave we also suggest sitting down and enjoying a meal at Besh Steakhouse where Chef John Besh plates traditional steakhouse favorites alongside locally grown produce with perfectly paired wines and cocktails. For more tips on planning a getaway in New Orleans check out our complete guide here.